To meet variegated demands of our esteemed clients, we are engaged in trading and supplying an exclusive range of Inkjet Printer Ink. - Used in printers for printing work. We provide solvent based Digital Inks for Wide Format Printing which provides consistent high quality results. Our Inks provides strong and long lasting bold colour. Inkjet Brother inks are designed to work specifically with Brother original ink cartridges. Our Brother bulk printer ink are 100% guaranteed and factory tested to meet original Brother inkjet cartridge specifications. 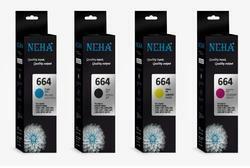 Brother inks are specifically designed for your Brother printer model. Available in 100ML and 1LT Packing. 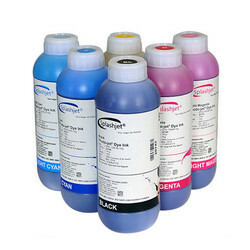 We are one of the well-distinguished companies in the market that are into offering Printer Ink.